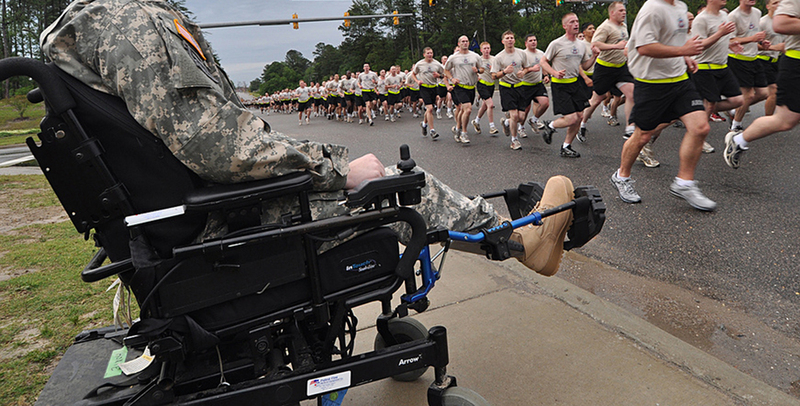 The Association of the U.S. Army is supporting the Honoring American Veterans in Extreme Need (HAVEN) Act (S. 679) to protect the economic security and well-being of veterans and their families who rely on disability benefits and may be experiencing financial hardship. The HAVEN Act, recently introduced by Sens. Tammy Baldwin, D-Wis., and John Cornyn, R-Texas, would remove unequal treatment among various disability benefits by excluding VA and DoD disability payments made to veterans or their dependent survivors from the monthly income calculation used for bankruptcy means tests. “Forcing our veterans and their families to dip into their disability-related benefits to pay off bankruptcy creditors dishonors their service and sacrifice,” Baldwin said in a press release. “These benefits are earned, and we must do right by our veterans and protect their economic security, especially during challenging times,” she said. Under current bankruptcy law, disability benefits paid by the Department of Veterans Affairs and Department of Defense are included in the calculation of a debtor’s disposable income, increasing the portion of the debtor’s income that is subject to the reach of creditors. By contrast, bankruptcy law explicitly exempts Social Security disability benefits from this calculation. The HAVEN Act complements recent congressional efforts to combat service member and veteran mental health issues, addiction, suicide, poverty and homelessness—all of which are exacerbated by financial hardship.